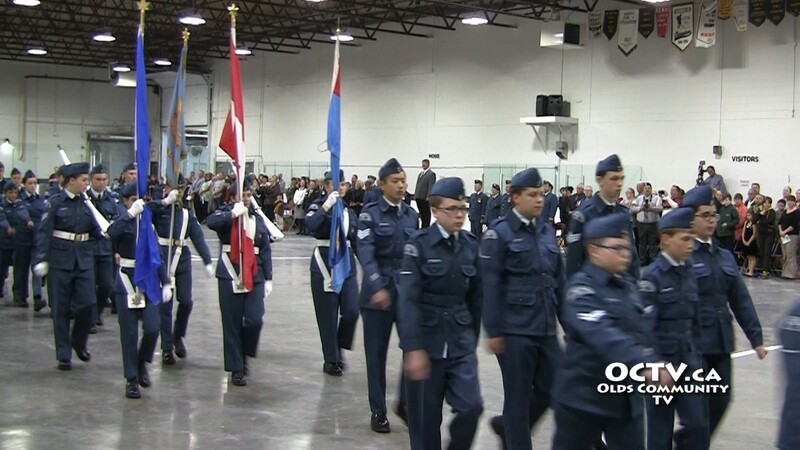 The 185 Squadron of the Royal Canadian Air Cadets from Olds held their annual review at the Olds Sportsplex on Thursday June 4th. 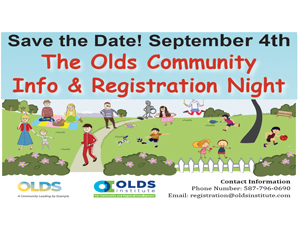 Approximately sixty-five youth ranging in age from twelve to nine-teen took part in the event which was attended by parents and local dignitaries. 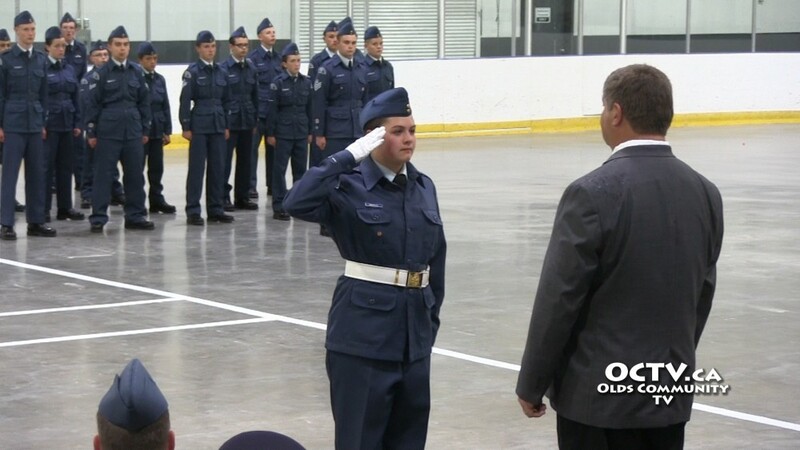 The review of the cadets was led by Leo Deschamps a former cadet and retired Canadian Armed Forces member. 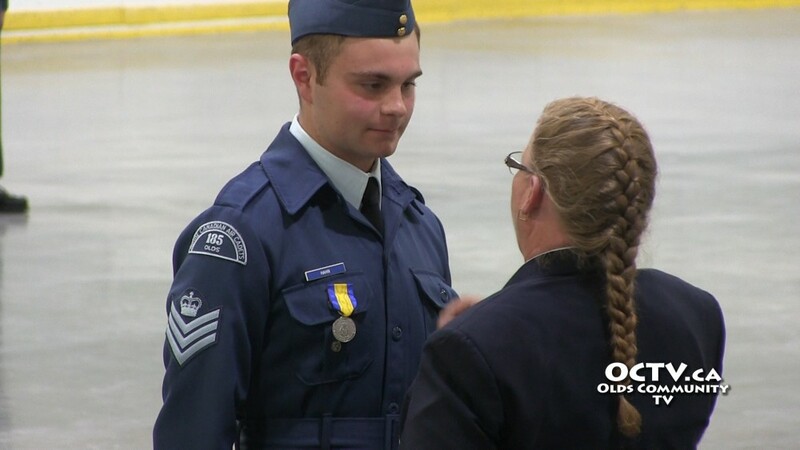 Mr. Deschamps is a gliding instructor and is taking part in the national gliding championships being held this year on June 10th at the Netook Gliding Centre just north of Olds. 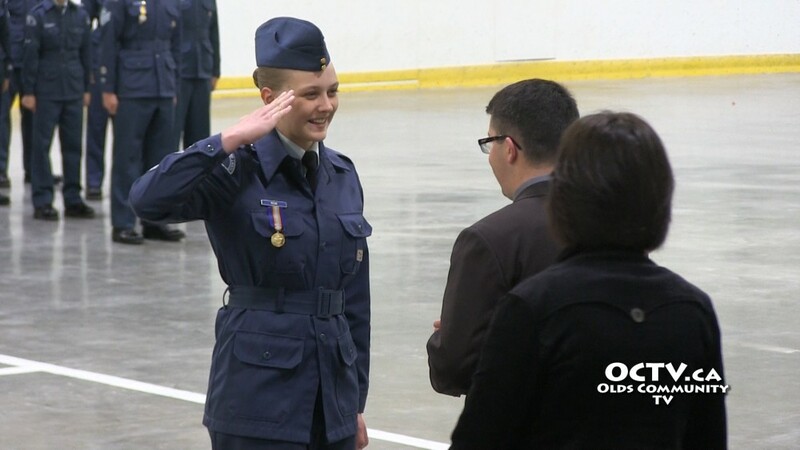 Medals were presented to cadets at the event. 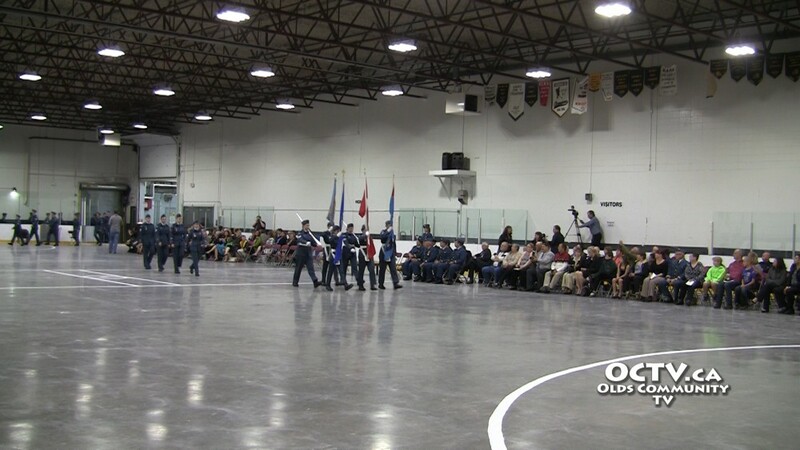 After the review the cadets, special guests and parents proceeded to the Royal Canadian Legion, Branch 105 in Olds for their banquet.